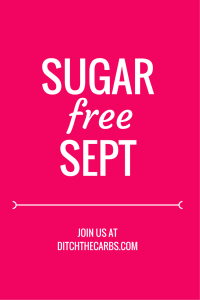 Can you live without sugar for 30 days? Your FREE 30 day challenge is staring soon - don't miss out! You will feel incredible at the end of the month and this will be the beginning of your path to be sugar-free for life. I will email you each day and post on Facebook daily recipes, articles, news and videos to keep you motivated. The 30 day challenge will be hard, fun and life changing. There's even a closed Facebook group to support you along the way. Learn to make the most amazing meals with real food. So let’s get to work. Success! 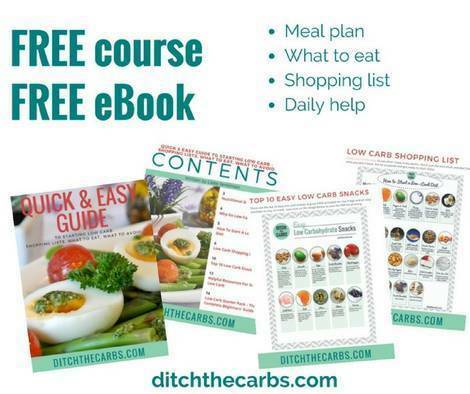 Now check your email to instantly download your FREE eBook. © Copyright 2019 Ditch The Carbs. All rights reserved.